Guard your wine in grand style. 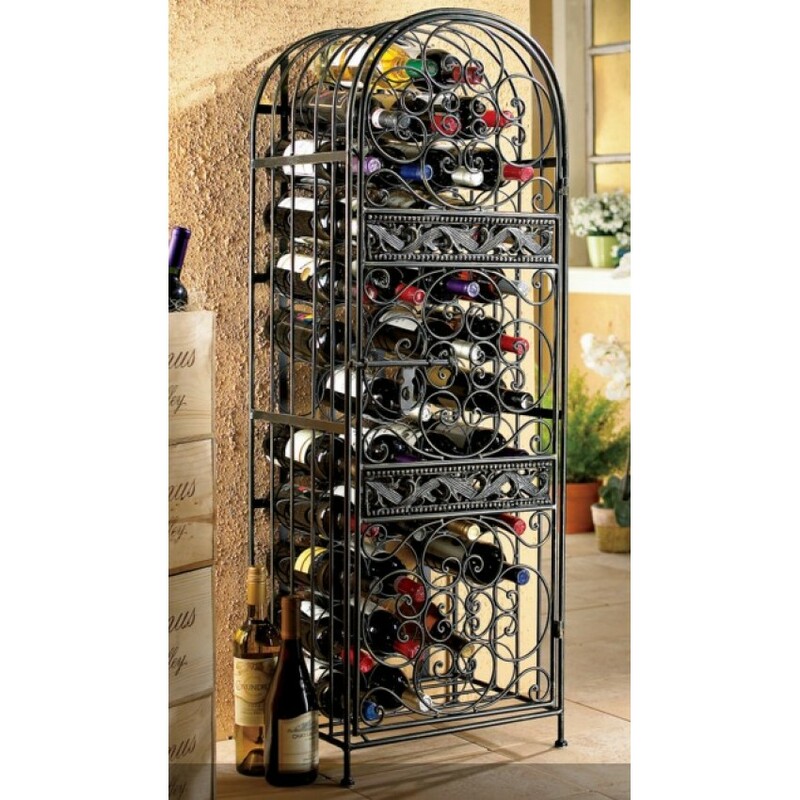 Ornate scrollwork with antique bronze finish evokes the artistry of the Renaissance, a fitting setting for your wine. 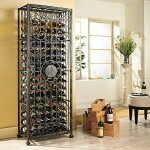 Holds 45 standard Bordeaux-size bottles behind the slide-lock door. Wine jail comes fully assembled. Shipment will include two extra pieces of metal, they are only for shipping purposes, they can be discarded. Holds 45 bottles. Easy assembly.